Customizable SMS, or text, notifications are included with the Modern and Advanced plans. To create a custom SMS notification, click here. First, be sure to select a Custom SMS Number. This number is what customers will see when they receive job notifications. When a customer responds to a text notification, the response will be sent to the Housecall Pro mobile app. Once a number is selected, the job scheduled, on my way, and finished messages can be edited. To edit a message, press on the edit pencil icon at the top left of the message you want to edit. Within the edit area, there are several options for 'smart variables' that can be placed into the text notifications. Keep in mind that these messages will go to every customer and cannot be edited from job to job so you should not include a customer's actual name or any other specific information by typing it in. 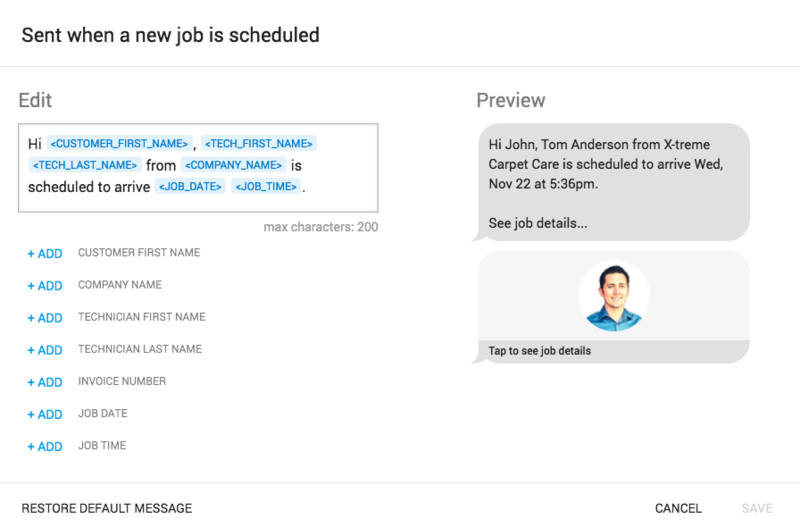 The smart variables should be used to place things such as customer name, invoice number, or job date and time into the message. 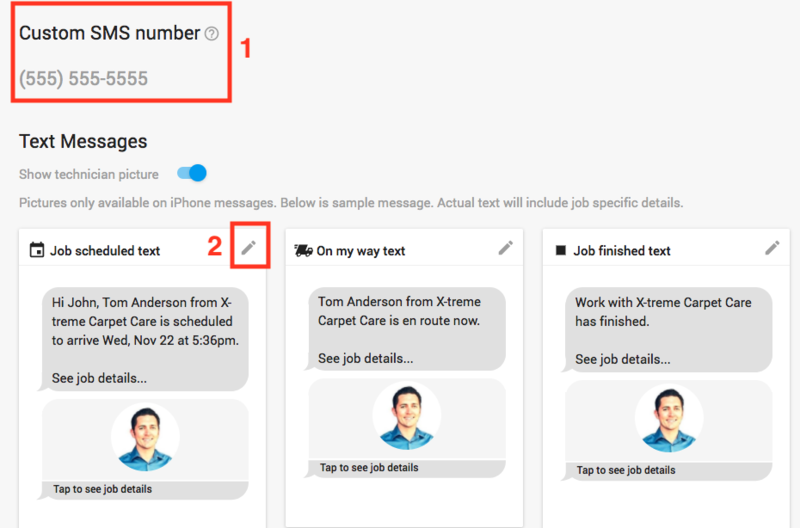 When a notification is sent to a customer, the smart variable will determine the correct information for that particular job and send the text message to the customer with the appropriate information. When typing the custom message into the edit text area, the smart variables will display a sample message on the right side of the page. This represents exactly what a customer will see when they receive the text notification.